In recent years, Nokia has hosted its annual Nokia World event in London, but for 2012, the expo is set to ‘come home’ and will be located in Helsinki, Finland as the company continues to build upon its smartphone momentum. This year, the world’s press will be heading to the Helsinki Exhibition & Convention Centre between September 25-26, just miles from the Nokia’s HQ in Espoo, to see what the company has in store for its future mobile phone (and possibly tablet) devices. Last year, we saw Nokia take to the ExCel in London to launch its first two Windows Phone devices, the Lumia 800 and the Lumia 710. The Lumia 800 got off to a steady start, selling more than one million units in Nokia’s fourth financial quarter. Since then, the company has launched the Lumia 900 and the Lumia 610 Windows Phones, also debuting the new Nokia 808 PureView (with its 41-megapixel sensor) and a new range of Asha handsets. 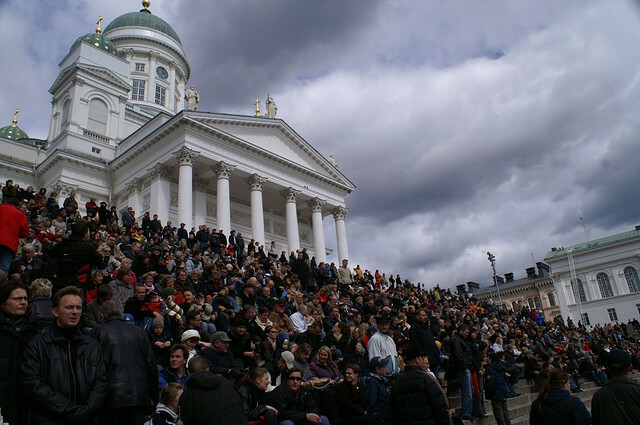 In January, Nokia was pleased to learn that Helsinki had been named the World Design Capital for 2012, holding events to showcase the design of its Lumia products in Finnish cities. It may well be that the company has chosen to focus attention on the city whilst it holds that accolade. However, it may also be a show of solidarity, after the company has been forced to cut jobs across Europe and South America, but also its home country, as it continues to restructure its operations.